Welcome! We are Chris and Jen Kindred. 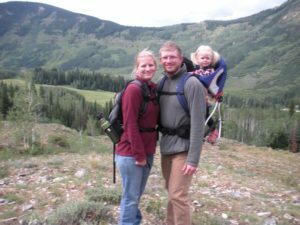 We moved to Crested Butte in 2011 with our daughter Addison. As a family business, we are small, and we like it that way because we are able to focus on each of our individual customers. Whether you need a custom web page for your business or help setting up your home network we are here to help. We love living here in Crested Butte! When we came to visit for the first time, it took one afternoon and a pizza from the Secret Stash for us to decide that our family should move here. We are trying to experience everything the valley has to offer. Chris skis and snowboards, I am trying my best to learn how to ski, and Addison got on skis for the first time this year. We love to take family hikes and go camping. Chris rides a mountain bike, I love my townie, and Addison can’t wait for her first adventure on her Strider. Chris is an avid fly fisher, and Addison loves to run in the river and chase the fish away. We all love town league softball during the summer, Addison is a terrific cheerleader. No matter where we go, we are never without some sort of technology. We are just that kind of family. Chris went to the University of Tulsa where he played football and discovered his love of technology. He graduated with a Bachelor of Science in Business Administration, majoring in Management Information Systems. Chris has been a software developer for eight years and designing web pages for nine years. The amazing thing is he still loves every minute of it! He is a perfectionist, who will not quit until the job is completed to his standards, which are above and beyond everyone else’s! When Chris is not working, you can usually find him in the living room having a tea party with Addison and her princesses or cuddled up on the couch with me watching a movie. We hope that you will choose us to handle all of your technological needs!